Is a hippopotamus really a hippopotamus or just a very cool opotamus? Crochet your very own cool, cuddly pal complete with bobble fingers and toes! This guy is the biggest amigurumi I've designed so far at over 16 inches tall and I'm thrilled with how he turned out. If you'd like to make him even bigger for an absolutely giant hippo use a thicker, heavier weight yarn and a 4mm hook. Thank you to everyone for your patience and support whilst waiting for this pattern. As always, if you make your own hippo please do send me your photos (or post them on my Facebook page) I love to see them. If you do use my pattern and would like to thank me I'd love it if you followed my blog in some way, or liked my Facebook page? Happy crocheting! Peace, love and yarn. Psst! 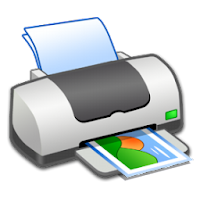 Hold down CTRL and P to print the pattern! Difficulty: Moderate difficulty - Beginners may struggle with crocheting around a chain, the bobble toes and the large size of this amigurumi. Must know how to work in the round, increase, invisible decrease, & chain.. 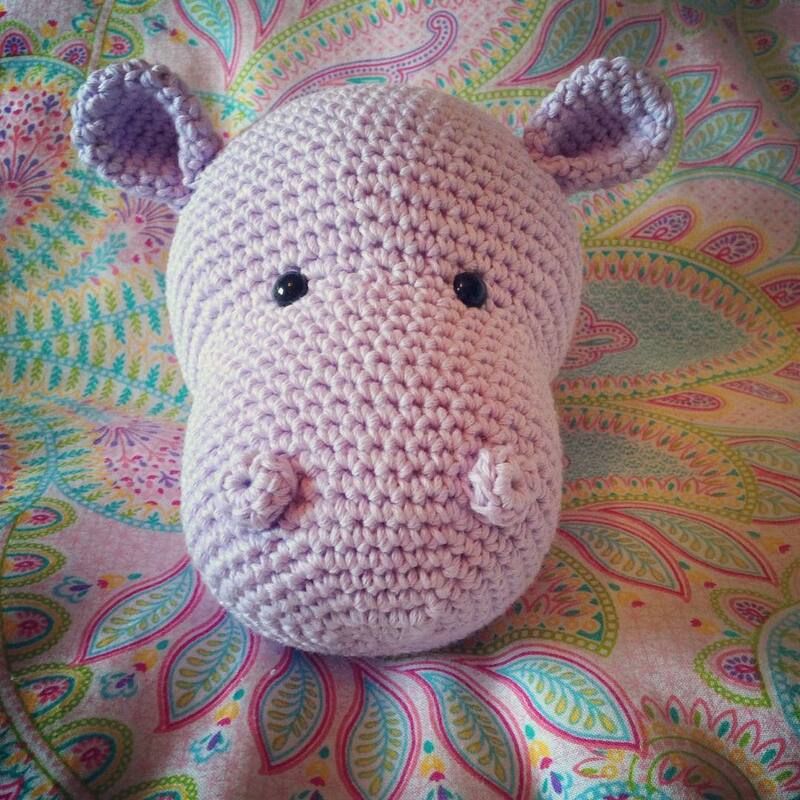 The bobble stitch is used to create the hippo's toes in this pattern. Also known as the popcorn stitch or double crochet cluster! When the pattern says "bobble" you do one of these special stitches. 4. Yarn over, pull through first 2 loops on your hook. 5. Repeat steps 1-4 another four times until you have 6 loops on your hook. 6. Yarn over, pull through all 6 loops to create a little bobble! The bobble will probably puff towards the inside of your work as opposed to outside. Simply finish the entire round then go back and use the blunt end of your hook or a pen to push the bobbles the right way out. Crocheting around a chain can be daunting at first, but it's great for making an oval shaped piece instead of a typical, perfectly round amigurumi. To avoid holes in the front of your work I recommend working into the "back bumps" of your chain instead of the top (back) loop as you would usually do. Check out this link (courtesy of My Hobby Is Crochet) for a great tutorial about working in the back bumps of a chain. Put a stitch marker in the first sc you make. This will make sure you will work into the correct first stitch of the next round and do not try to work into the skipped chain. Now turn your work and start crocheting in the other side of the chain. For this side, you will see you now have both loops of the chain to work in like a normal stitch! Start working in the stitch left from the slip knot. Put a stitch marker in the last stitch you just did. You should now have 12 sts around. Now we start crocheting in the round as normal. Make sure you don't try to crochet into the skipped first chain of round 1! Skip that entirely. Attach 10mm black safety eyes to your piece. Mine are attached between rounds 19 and 20 and roughly 5 stitches apart for your reference. Make sure the starting oval at the end of your snout is positioned horizontally when you attach the eyes otherwise your snout will look oddly shaped! Make sure the backs of your safety eyes are "snapped" all the way down to the bottom of the stock. If your hippo is for a small child it may be safer to embroider your eyes using black embroidery thread - safety eyes are not always safe, despite the name! Add in any more stuffing you need at this point - now we close our head piece! Slip stitch into the next st and fasten off leaving a long yarn tail. Weave yarn tail in and out of the front loops of the remaining 6 stitches and pull tight to close the hole. Knot yarn and hide the yarn tail inside the head. Slip stitch into the next stitch and fasten off, leaving a long tail for sewing. Do not stuff ears. Push both corners of the open end of the ear together to form a cute little hippo ear and sew to the head in this position. Each nostril is just 2 magic circles (that have not been fully closed) sewn together. 1. Simply make 2 separate magic circles with 6sc but do not pull the circle tightly closed. Leave a hole in the middle so our hippo can breathe! 2. Fasten each off leaving a long tail for sewing and sew them one on top of the other. Sew the nostrils to the head. My nostrils are sewn roughly between rounds 8 and 9 of the head for your reference. Slip stitch into the next st and fasten off leaving a long tail for sewing. Stuff the body firmly but please don't over stuff! 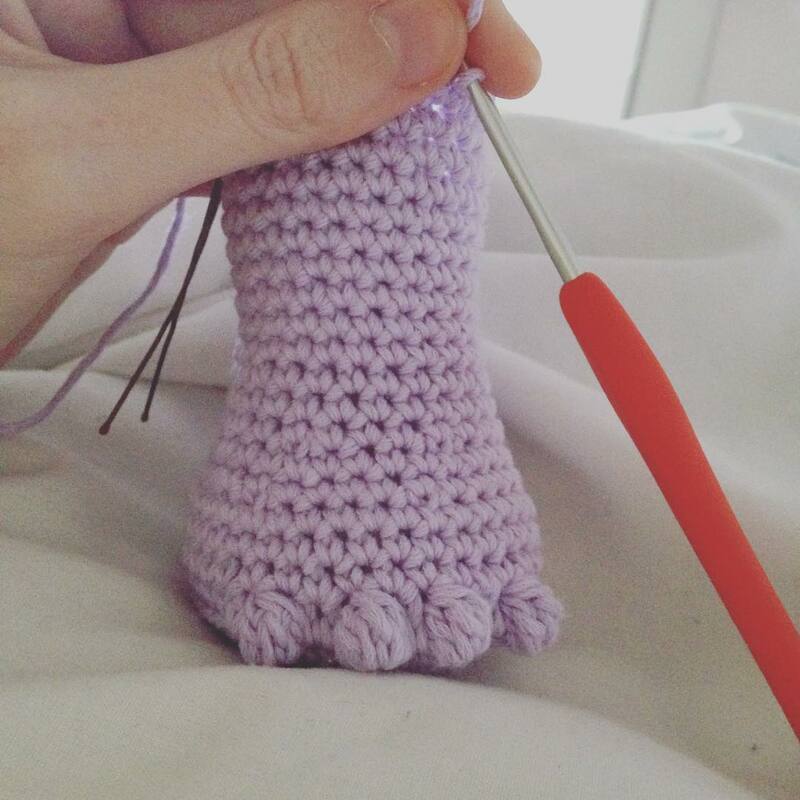 Important please read: Round 7 is where we make the hippos cute little toes using the bobble stitch! There are instructions on how to do the bobble stitch at the beginning of the pattern. This entire round is back loop only except for the first sc after each bobble stitch. Each bobble needs an sc after it to "pull" it down and make it puff out - this sc should be done through both loops. If you don't go through both loops you may end up with a horrid looking hole where one loop has too much stress on it. Every bobble should be done in the back loop only. The bobbles will probably puff towards the inside of your work as opposed to outside. Simply finish the entire round then go back and use the blunt end of your hook or a pen to push the bobbles the right way out. Back to working in both loops now! Slip stitch into the next st and fasten off leaving a long tail for sewing. Stuff the leg making sure not to overstuff so the palm of the hippo stays flat. Important please read: Round 6 is where the bobbles come in again! This round is nearly the exact same as the bobble round on the feet. There are instructions on how to do the bobble stitch at the beginning of the pattern. This entire round is back loop only except for the first sc after each bobble stitch. Each bobble needs an sc after it to "pull" it down and make it puff out - this sc should be done through both loops. If you don't go through both loops you may end up with a horrid looking hole where one loop has too much stress on it. Every bobble should be done in the back loop only. Slip stitch into the next st and fasten off leaving a long tail for sewing. Stuff the arm making sure not to overstuff so the palm of the hippo stays flat. 4. Sew the arms to the body, they go directly under the head at either side. 5. Sew the legs to the body. 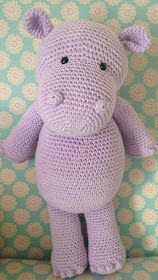 Thank you so much for sharing your sweet hippo pattern with us. I love it! Can't wait to make one for a friend who is having a little girl in September. He is lovely! I'm so excited to give him a go! Thank you for the pattern. This will be great for my grand nieces. I was wondering on round 3 of the snout, where it says "2sc, 2sc in next st. repeat until end of round (24)" but if you have 18 stitches around and you put 2sc in every single one, you are going to have 36 stitches instead of 24. So what am I doing wrong? It is written this way to make the pattern shorter and less wordy. Hope this makes sense, let me know if I can clarify further. Thanks so much for sharing. 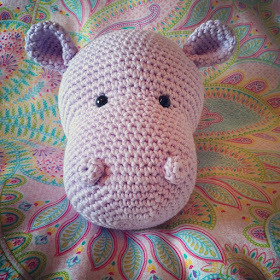 I finished my pink hippo tonight for one of my nieces. The pattern was easy to follow and was just adorable. are the ears suppose to curl inwards? You mentioned folding the corners together, yet they are round. Wait till U see the finished guy! Only have to make arms and legs. It's for my granddaughter who sings the hippopotamus song! Hi I've made your hippo and I'm very pleased with it. Thank you. Whew! Finally finished my granddaughter's Hippo. Great pattern! I know she will love it. She loves to sing the hippopotamus song. I used regular yarn & a larger hook, so he is biggg! About 20 inches lol. thank you for the free pattern.I will enjoy doing it. Thank you for the pattern! You can see my result in my blog! Thank you so much! Im loving this!